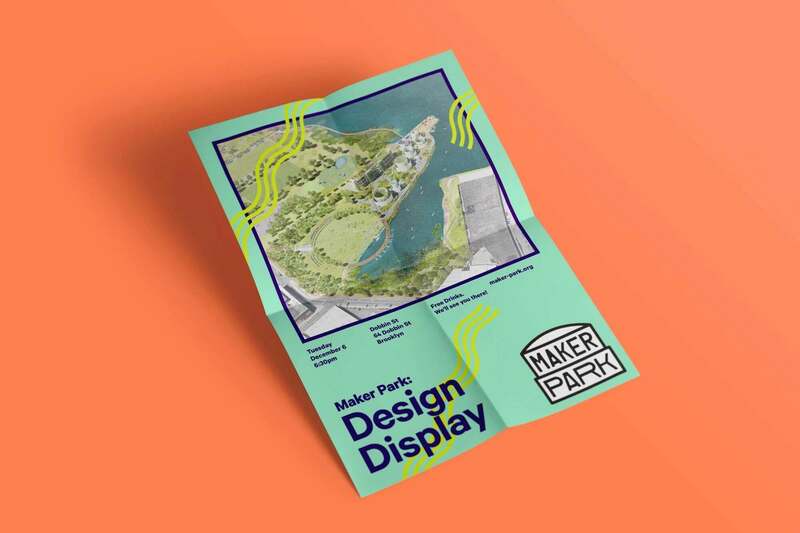 Maker Park is a proposed adaptive reuse park that will revitalize an unused industrial site on the waterfront in Williamsburg, Brooklyn. Conceived by a group of community activists, the initiative will transform the seven-acre site formerly known as the Bayside Fuel Terminal into a hub for artists, makers and entrepreneurs. 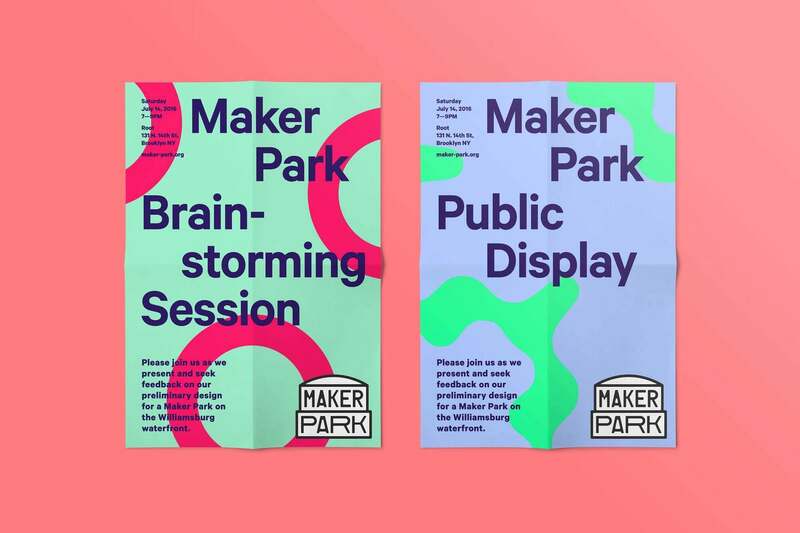 Pentagram has designed a bright, colorful identity for the park that captures the creative spirit of the neighborhood and helps raise the plan’s profile as it seeks support. The Maker Park site is the historical home of Astral Oil Works, once one of Brooklyn’s most important industrial enterprises, and is distinguished by a series of 50-foot tall cylindrical, decommissioned fuel containers. Rather than demolishing these structures, the plan, with architecture by Studio V and landscape design by Ken Smith Workshop, repurposes them into viewing platforms, performance spaces, exhibition spaces and greenhouses. 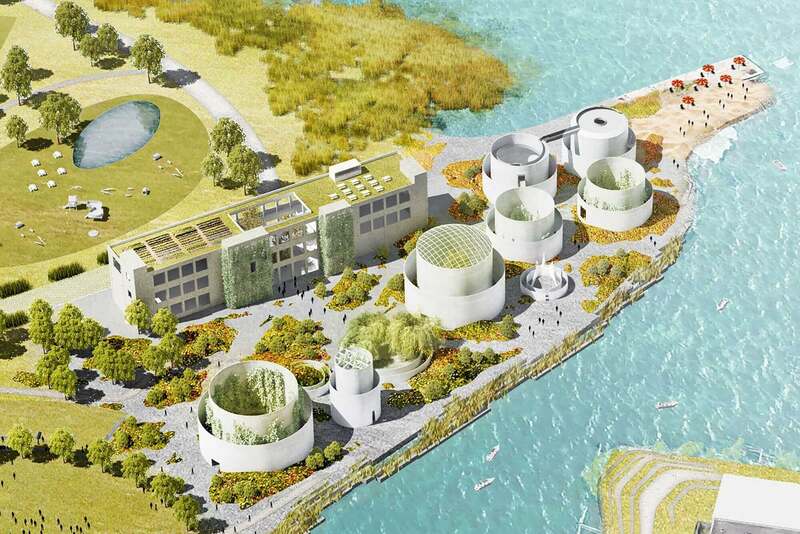 A three-story brick building can be reused as a community-accessible maker space, and the Maker Park parcel will be integrated into Bushwick Inlet Park, a 28-acre City park that stretches along the river. 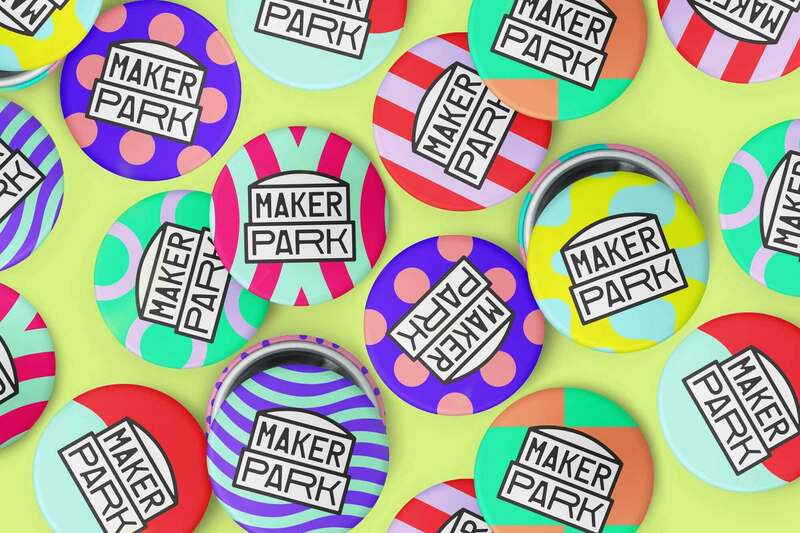 The exuberant, attention-getting identity plays off Williamsburg’s artistic roots and highlights Maker Park as a creative hub. The tanks are referenced in the shapes of the logo, which features custom typography with uniquely crafted letterforms that have been stretched and squashed to fit, and suggest the residual supergraphics still on the structures. The logotype is accompanied by an expressive use of color in wild, playful patterns that evoke graffiti and sticker art. The scrappy and vibrant look extends to other elements of the campaign, and the website layers images and information like a collage, with sections revealed as users scroll through the site. Big brand Marvel releases their 2017 Superhero NRL Jerseys!